Ekiti State Governor Ayodele Fayose has restored the privileges of former Governor, Ousegun Oni which were stripped by his predecessor, Kayode Fayemi. Oni was removed from office through the Court of Appeal judgment which declared Fayemi winner of the April 2007 polls. The Appeal Court upturned the decision of the lower tribunal. In May 2010, Oni won by a split decision at the election petition tribunal. However, the minority ruling at the tribunal opposed this by upholding the petition filed by Fayemi. Two judges supported the minority judgment while three judges endorsed the majority ruling. In a statement in Ado-Ekiti by his Chief Press Secretary, Mr Idowu Adelusi, Fayose said that he took the step in appreciation of the contributions of past leaders in the state. 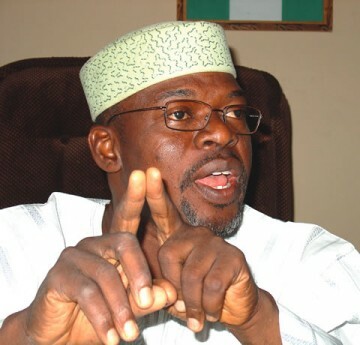 “Governor Ayo Fayose is restoring all the privileges of former Governor Segun Oni. His portrait among those who have led the state that was removed from the Governor’s Office by former governor Kayode Fayemi has been returned. All those who served with him and whose portraits and other souvenirs were removed by the past administration such as former chief press secretaries among others, have been returned,” said Adelusi. “The Fayose administration appreciates the contributions of those who have led the state in the past and would not in anyway rubbish such. We are ready to acknowledge all and would not because of political differences rubbish what people have done in the past,” he added. The move had since been criticised by legal practitioners, who argued that as far as the law is concerned, Oni was never governor of Ekiti. Another senior constitutional lawyer, Chief Felix Fagbohungbe, SAN, however disagreed with Sagay. He told Vanguard in an interview that there was nothing wrong with such decision, especially since Oni’s stay in office cannot be removed from record. “It cannot be obliterated from permanent record that he was once a governor. It is on record but the mere fact that the court has nullified the session does not mean that his period is not part of the history of the state. It will remain the history of the state. And in any case if it is at the pleasure of the legislators to restore his benefits that is good for them. So nothing has gone wrong,” said Fagbohungbe.